Mega Sale! 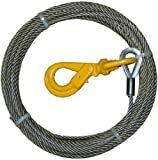 Up to 23% off on Cable & Wire Rope at High IQ Business Network. Top brands include BA Products, & Bevis Rope. Hurry! Limited time offers. Offers valid only while supplies last. 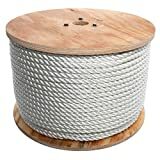 Wire Rope, Fiber Core, 3/8 In. x 150 Ft.
View more products in Pulling & Lifting.